My friends at ASICS have a pretty awesome (and FREE) promotion going on for those running the 2014 TCS NYC Marathon. 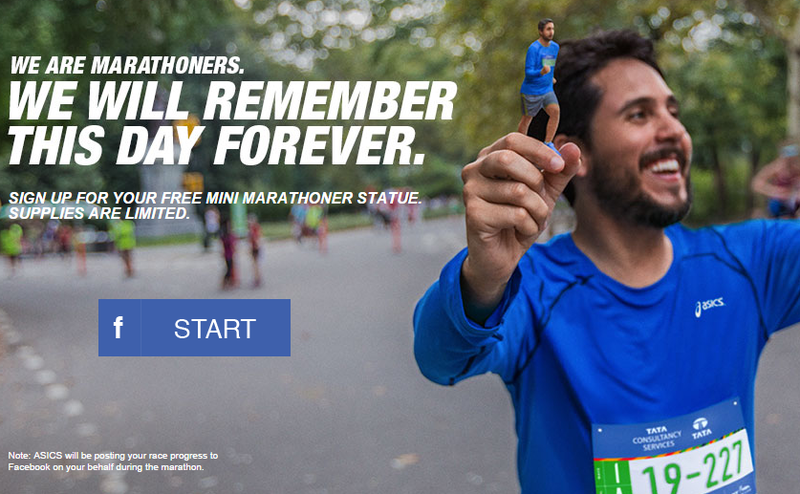 If you log into through the Asics facebook page, you can have your chance at your very own mini marathoner statue. ASICS is providing 2014 NYC Marathon participants with a chance to see themselves in marathon form with their Mini Marathoner program. A select group of marathoners will have a miniature statue of themselves made. Supplies are very, very limited. So the sooner you sign up, the better chance you have at getting one of your very own! Click here for more information. ASICS will track your marathon timing, posting your live progress to your friends.